Successfully Added Allocacoc PowerCube EU Original USB - 1 To 4 EU Plug Socket Multiplier, 2 USB Ports, 16A, 230V, Grounded, Child Proofing to your Shopping Cart. The term gadget is used to describe a device or tool, especially an ingenious one thsat makes our life easier and this PowerCube certainly falls uinder that category. In fact because it was so inginouse in its approact to an everyday common solution it was a winner on the 2014 Reddot awards. The power cube tackles one of the biggest issues we have in our ever increasing world of electronics. How to find a plug socket for everything I need? Especially when most homes and offices are severely lacking in usable plug sockets and power outlets. Allocacoc addressed this issue with the PowerCube by arranging the ports in such a way as their usage won't block each other. So now you can really make the most of each plug socket, this makes a huge impact and whether its used in the home, office or workshop having extra sockets on hand is a real bonus, There are even two USB ports for those Smartphone’s and tablets that we use so much. Having a modular design lets you interconnect two or more PowerCubes together so you can get the right balance of ports for your needs. 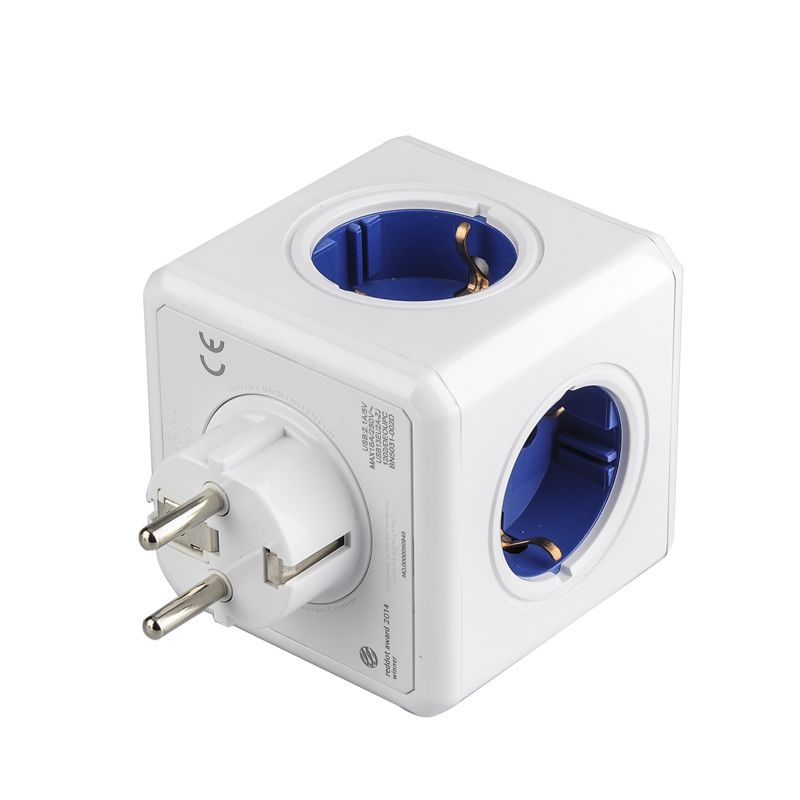 This cube is suitable for EU style plugs and sockets of a type DE as well as C&F Plug fitting. Rated for a Maximum 16A of current, 230V or 3680 Watt and with two USB ports you have loads of options available. The PowerCube EU socket multiplier comes with 12 months warranty. Brought to you by the leader in electronic devices as well as wholesale socket multipliers, Chinavasion..